The IT Security Audit & Services is an integral component of a discerning business’s pursuit of robust IT security and actionable oversight. Solid corporate governance requires that companies regularly undergo these audits (i.e.,"health checks") of their IT security and infrastructure. An IT security audit, performed by a qualified IT audit company, analyzes individual technical infrastructure components at a detailed level, ensuring that each is functioning in a manner that reinforces appropriate information security. The stakes are made higher with a number of regulatory compliance requirements mandating that IT audits be included in organizational due diligence efforts. 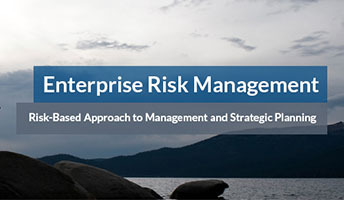 Enterprise Risk Management’s team of IT auditing and security specialists will help you navigate a sea of ever-changing business risks. By using customized tools, expert resources, and proven methodologies, we tailor our IT audit services to your specific needs. Our experienced professionals bring a deep understanding of Internal Information System Audits, Application Control, and Security Services, as well as Pre- and Post-Implementation Reviews.